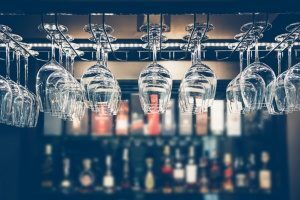 Does My Bar Need Liquor Liability Insurance? Owning a bar means much more than just having a good selection of beer on tap. 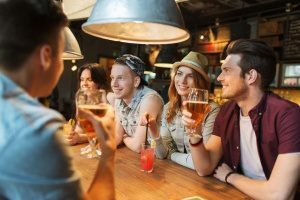 As bar ownership comes with unique risks, you want to protect your interests by having the proper types of bar insurance. Liquor liability insurance is a must-have for bar owners who want to protect their business against liquor-related claims. Liability claims made against a bar as a result of injuries or damages can be very expensive. Liquor liability insurance can help safeguard your business against these types of risks. Learn more about liquor liability insurance and why you should talk to an insurance broker today. If you own an establishment that sells or serves liquor, you are at risk for a liability claim if someone becomes drunk to the extent that property damage or injuries occur. While the inebriated person involved may be responsible for some of the blame, it is often the business that served or sold the alcohol who is liable for damages or injuries that occurred due to the action of a patron. To protect against the high costs of possible lawsuits, liquor liability insurance is often acquired by bar, tavern, and nightclub owners. Even the most experience bar owners are at risk for alcohol-related claims. You may never expect for one of your patrons to suffer injuries or cause damages while intoxicated at or due to your bar but it is more common than you think. For example, a man could come into your bar, get drunk, and decide to drive home. On the way he commits vehicle manslaughter. The victim’s family now has the power to sue your bar for criminal and civil damages. When your bar serves or sells alcohol, you may be held liable for the actions of any inebriated persons you serve. In some cases, you may be required to carry liquor liability insurance for your own protection. Many places in the United States require any establishment that sells alcohol to have liquor liability insurance. However, there are some limitations to your coverage. For example, liquor liability insurance policies do not allow you to sell alcohol in an illegal manner, such as serving beer to a minor. You can generally find liquor liability insurance as a single insurance or packaged along with other types of insurance, such as a general liability policy. Most businesses have already purchased general liability insurance. This type of commercial business insurance generally covers property damage, bodily injury, and other types of damages like advertising injury. It may also include host liquor liability insurance. You may be wondering why you need liquor liability insurance if you already have general liability insurance. It is important to understand that while host liquor liability insurance will cover claims that may result from the incidental service of alcohol, it does not protect against alcohol-related claims if you manufacture, sell, or serve alcohol in your business. Do not underestimate the liability risks associated with drunken patrons. Anyone who is involved in damages or personal injuries associated with your business can file a lawsuit against your bar if you provided the alcohol. Even the intoxicated customer has the power to file a lawsuit. It is not just drunk driving that you have to worry about either. An intoxicated customer in your bar may become unruly, causing damages or personal injury to himself or another patron. The drunken customer could cause a fight or attack someone, resulting in thousands of dollars in property damages or medical bills. Assault and Battery Coverage: When patrons become intoxicated, fights can occur. In fact, many claims that are made against bars are associated with arguments that escalate into physical fights. Assault and battery coverage can help cover these types of situations to ensure that you are well covered no matter what type of situation arises. Mental Stress and Anguish Coverage: Some patrons may allege that they were mentally injured rather than physically. While some liquor liability insurance policies exclude this type of claim, others may include it to some extent. If this is something that you want to be protected against, shop for a policy that covers damages for mental anguish or injuries. Defense Costs: If you have a claim filed against you, you will no doubt be confronted by a number of legal bills. Defending a liquor liability claim can be very costly and not all bars have the funding to proceed in such a case. Liquor liability insurance may cover your defense costs in a number of cases to reduce the attorneys’ fees and other legal expenses that you must pay out of pocket. Employee Coverage: While some bar owners forbid employees from drinking on the job, others permit it to some degree. However, an employee becoming intoxicated while in your bar can become a liability. If you see this is a possible issue, look for a policy that covers employees as patrons. Rewards and Discounts: Some insurance carriers offer certain rewards or discounts to bar owners who maintain an adequate level of safety in their business or have a good claims history. Some may receive a discount on their premium while others may get offered free training. Look for these types of rewards when shopping for liquor liability insurance. If your bar does not yet have liquor liability insurance, there is no better time to get it than now. Liquor liability insurance is a great way to protect yourself and your patrons if your business is ever sued for injuries or damages related to intoxication. Contact an bar insurance broker today to learn more about liquor liability insurance or to inquire about available policies. Previous Post: « What Insurance Should I Have for My Nightclub?